How could one of the shortest verses in the Bible have so much power? Society tells us that in order to be strong we shouldn’t cry. We tell our children to stop crying when they are upset. We try to give the appearance that we are unbothered by this life. When Mary approached Jesus about the death of her brother something contrary to “society” happened. 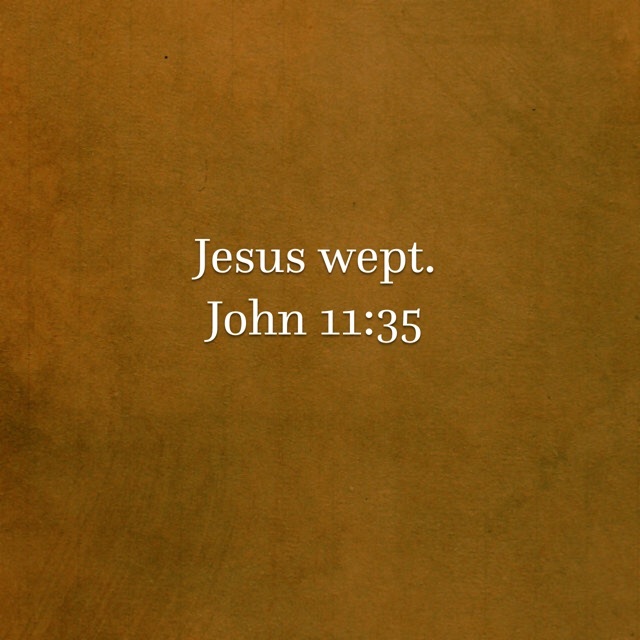 The King of King’s and Lord of Lord’s wept. The Almighty God wept. Elohim, God, “Creator, Mighty, and Strong,” wept. So when life hurts you, it’s okay to weep. When life hurts someone else, it’s okay to weep with them. Embrace the power that the God of Life has given us-the power of tears. ← Whose House Are You Building?